Learn about how your company can earn an average annual return of $300,000 on your current investment. Check out the Long Beach Water Department’s success story! 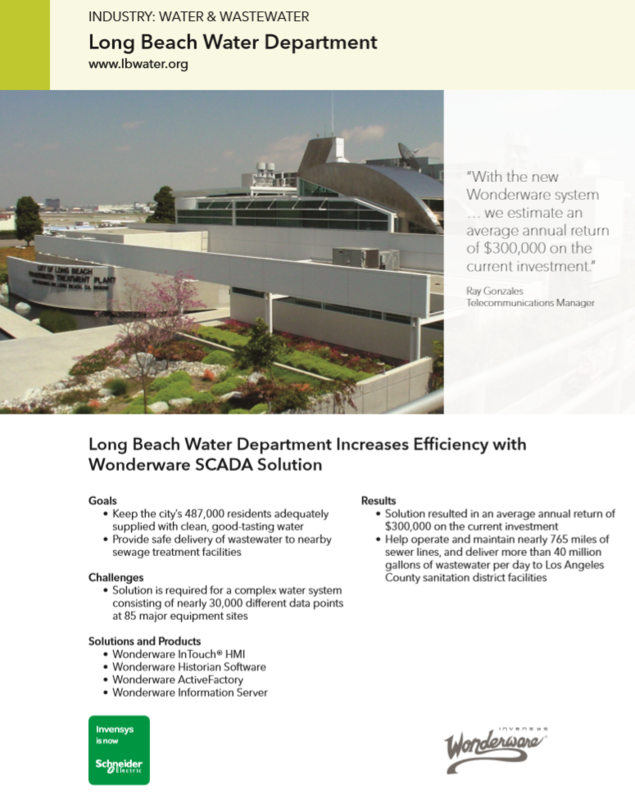 Not only were they able to gain revenue, but they successfully reached their goals using Wonderware California products.